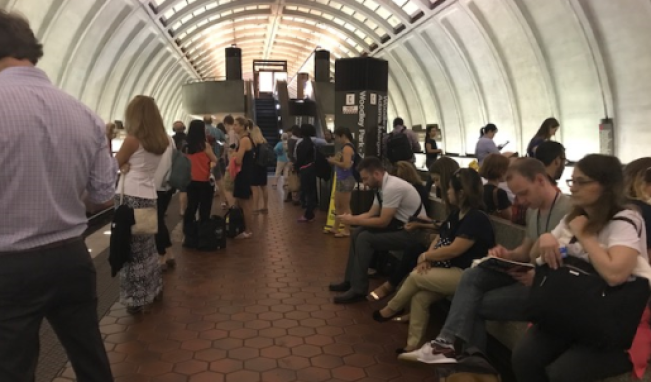 Riders on Metro's Red Line had another rough commute Tuesday morning after a track problem left part of the busy line sharing a track. Trains were single tracking between Farragut North and Judicuary Square for about an hour. Metro says the delays were due to a track problem outside Gallery Place. This is the second time in a week that Red Line riders have found their commute snarled. Last week, two separate arcing insulators temporarily shut down service on two portions of the Red Line.